We come across migration issues that need to be done from different environments to different locations. These features are already included officially in VMware. However, as can be seen from the following link, many of us afraid of integration steps needed and it also has licensing requirements. Many of you know that there is a portal called VMware Flings, where VMware Professionals are developing unofficial solutions for business needs. Again, after a project need, I came across the following tool and realized that the Cross vCenter Migration would become incredibly easy. In This article, I will talk about prerequisites, installation and basic issues for VxRail installation. 1 Complete physical installations of Servers and Switches. 2 Do the IDRAC and Switch BMC wiring. 4 One cable from server to Tor Switch A, the second cable is to Tor Switch B. 5 Connect Tor Switches in the customer network and configure them as a stack, making sure there are no LACP on it. 3 Create the corresponding VLANS on Top-Of-Rack (Tor) Switches to be used for the VxRail. 6 Enable IPv4 and IPv6 multicast for the Management VLAN and IPv4 multicast for the vSAN VLAN. 6 Create forward and reverse DNS records for ESXi, VCenter, and Log Insight and make sure they are resolved. 8 Ensure that the ESXi servers and the NTP server show the same time, if necessary, fix the time via the IDRAC and ESXi host. 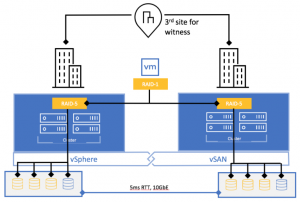 10 Tagged or Untagged traffic from Tor Switch ports connected to Vxrail are allowed, decide by structure. 11 Allow all traffic to pass through ports used in connection between all switches, including IPv4 and IPv6 multicast if Multiple switches are in use. Optional Check that the EMC support account is correct. Optional Make sure that the Switches connected to the BMC and the IDRAC support 100Mbps. VxRail is the product that I’ve been thinking about writing for a while but I didn’t have time for health and business reasons so far. 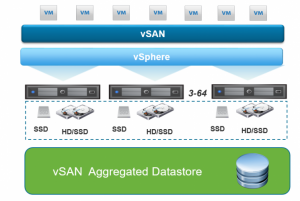 First, you can have your vSAN infrastructure in three ways. When looking at the first two steps, you may have noticed that hardware and software compatibility should be taken into account to be aware of problems thus this process can be complex and error-prone to some. If you want to use dive deeply to the products and force their limits or to try to switch to the most recent software, VxRail is not a very convenient product for you. So who is this VxRail suitable for? Someone who wants to cover maintenance very easily. If you are a company that meets the above criteria, you have found the product. VxRail can be acquired both as hybrid and all-flash. As shown below, you may buy the VMware licenses with the product, or you can use your existing licenses as well. It is available free usage of vCenter when used only for VxRail management. Through EMC Secure Remote Services (ESRS), your infrastructure is monitored regularly for problems by the manufacturer and you get fast support when needed. With vRealize Log Insight, you can examine the detailed logs of the environment and protect your virtual servers by replicating them with Recoverpoint for VM. 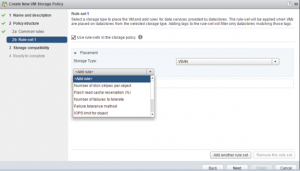 You can obtain Dell EMC Data Protection Suite software bundling with the product in a way that does not upset you and use your data protection products in an integrated way with vCenter. As vSan runs through the network infrastructure thus you also need switches that will work in a redundant manner. Although VxRail has a complete vSan infrastructure, it follows innovations from 1-1.5 months behind to avoid compromising stability and compatibility. VxRail Manager was in use as a separate product with a separate interface, so management functions could be compelling in VxRail 4.5 and earlier. 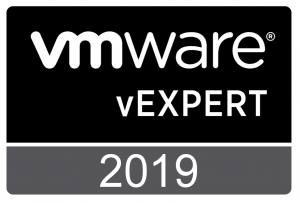 As of Vxrail 4.7, the Vxrail Manager tool is now running under the vCenter and requires no additional VMware knowledge for management operations. Updates can be downloaded directly if the VxRail infrastructure is connected to the Internet, if not you can download via support.emc.com and make local update. As can be seen below, the update covers firmware, VMware and hardware drivers. As of April 2019, the following solutions are stated on Dell EMC‘s site, but we know that the G series has not been in Turkey for some time. In the next article I will try to explain the installation side, you can access the document here. There are several manufacturer tools that I share links with below that you can perform automatically. Click here for vSan Readynode Sizer and here for Vxrail Xpress Sizer. So what should you do if you want to do an average calculation without having to depend on these tools? vSAN Stretched Cluster (SC) provides business continuity in multiple failure situations like Fault Domains. Data is written simultaneously to two separate locations, the first location is called Preferred and the second one is called Secondary. If one of the locations is lost, the virtual machines restarts at the second location by using VMware HA, where all fresh data exists. 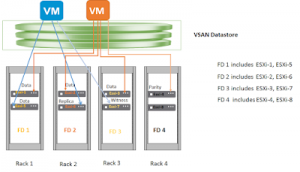 In this article I will explain the subject of vSAN Fault Domains. You can review the original source here. 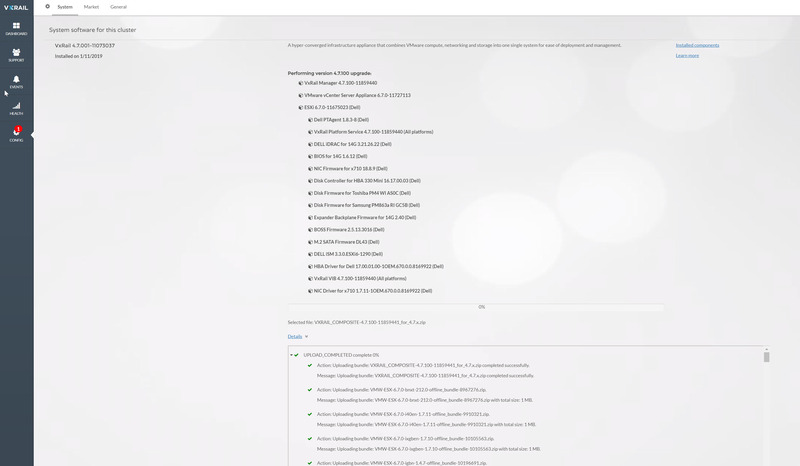 Fault Domains allow systems to run in cases where multiple server failures or a cabinet is not reachable by spreading the vSAN cluster across multiple cabinets or blade chassis. One or more servers can be added to each Fault Domain. Before accepting this page as a reference, I strongly suggest you to review the article I wrote about SPBM again. You can find the page here. I’ll try to elaborate on the Storage Policy Based Management (SPBM) what I’ve briefly describe in my previous article. Protection types specified in SPBM are Datastore Default, per-VM and per-vmdk. 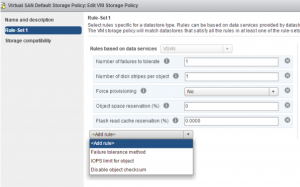 You can review Storage Policy Rules in vendor resources for further details. VMware vSan can be called as a technology that allows locally attached disks that are installed on the server to create a clustered disk space, or as Distributed Object-Based Storage. It reduces complexity eliminating the physical storage layer. Since vSan is embedded in the hypervisor, what you need to do is only to activate it via vSphere and a separate installation is not required. In this article I will briefly summarize the traditional, converged and hyper-converged infrastructures.